Our mission is to provide a clear and transparent recruitment service to the social care, nursing and education sectors. As one of our staff, you will receive fair pay ( paid weekly for temps) and have access to a wide range of both temporary and permanent roles across the whole of the UK. 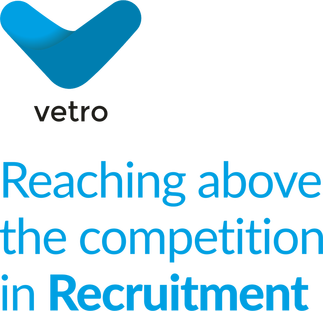 Vetro Recruitment is a member of the REC (Recruitment and employment confederation) and our Nursing division is CIW (Care Inspectorate Wales) registered meaning we have access to all the best local authority, private and NHS roles within our sectors. Our specialist care, education and nursing teams consist of professionals that have worked within those sectors. We have employed Nurses, Teachers, Teaching Assistants, Registered Managers and Support Workers who truly understand what is required for the roles we recruit for. Whether you are looking for career progression, your next permanent role, a short-term contract or ad-hoc hours to fit around your family, we can help.